Looking for ways to engage reluctant readers? Need gripping tales for those students with shorter attention spans? Interested in teaching visual literacy in addition to improving vocabulary and reading comprehension? Look no further than (trumpet sounds) comic books! If you are a regular CBLDF News Blog reader, you probably aren’t surprised by the idea of comics in the classroom. But maybe you need recommendations for something new for next semester or want access to teaching guides, and additional resources to craft lesson plans. Let CBLDF help! Our Using Graphic Novels in Education section has tons of great resources for teachers. Each article takes a look at teachable moments in the text, breaks down Common Core State Standards, and offers links to resources for lesson planning – like interviews with the author or artist and further reading about the topics touched on in the work. Check out these suggestions for the spring! Nathan Hale’s Hazardous Tales is an award-winning graphic novel series that showcases major events and individuals in history, primarily United States history. The series has won multiple awards including a 2012 Cybils Award Finalist; spots on the New York Public Library’s Children’s Books list in 2012 and 2013; 100 Books for Reading and Sharing list; YALSA Great Graphic Novels for Teens list in 2013, 2014, and 2015; Notable Social Studies Trade Books for Young People in 2014; and an Eisner Award nomination 2014. King by Ho Che Anderson (Fantagraphics, 1993; reprint edition 2010) is a highly acclaimed award-winning biography that integrates interviews, narrative, sketches, illustrations, photographs, and collages as it pieces together an honest look at the life, times, tragedies, and triumphs of Martin Luther King Jr. For King, Anderson won the Harvey Awards for Best New Talent (1991); Best Graphic Album (1993); and Parents’ Choice Award (1995). 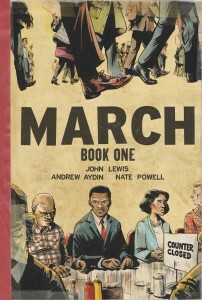 MARCH: Book One begins the trilogy of Representative John Lewis’s graphic novel memoir, co-written with his aide Andrew Aydin and illustrated by Nate Powell. 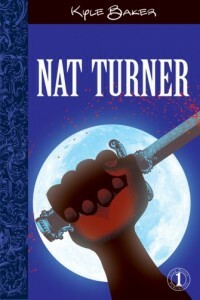 It is a critically acclaimed best-seller that received the 2013 Coretta Scott King Honor Book Award by the American Library Association and has been named one of the best books of 2013 by USA Today, The Washington Post, Publishers Weekly, Library Journal, Kirkus Reviews, and many others. The follow-up to the MARCH Trilogy, RUN, is scheduled to come out in the summer of 2019, so it’s a great time to introduce this classic. 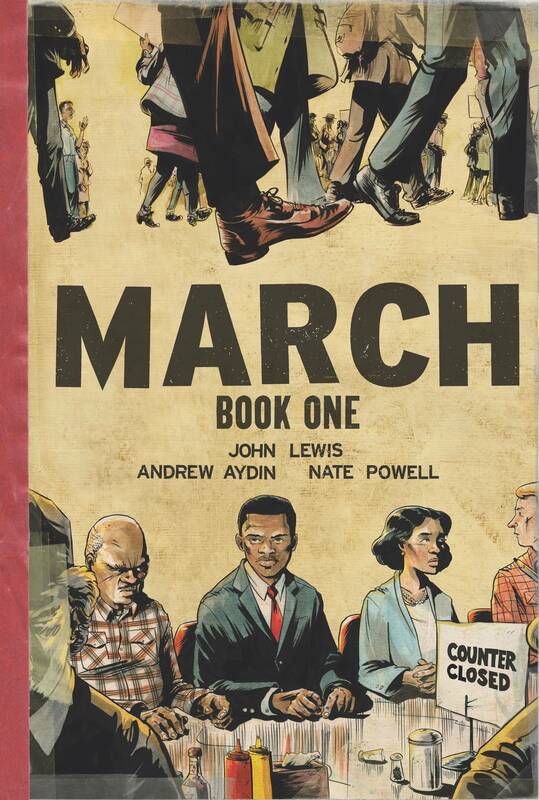 MARCH: Book Two is the second volume of Representative John Lewis’s graphic novel memoir, co-written with his aide Andrew Aydin and illustrated by Nate Powell. MARCH: Book Two details the real-life heroes of the 1960s, from the Civil Rights leaders of SNCC and the SCLC to the black and white protesters who risked life and limb for what was right. In Book Two, Lewis’s story continues with the events that took place on November 10, 1960, in Nashville, Tennessee, as “…our young organization had successfully ended segregation at the lunch counters downtown and turned its attention to fast food restaurants and cafeterias using the same strategy.” It then continues with events that took place in the South between 1960 -1963, culminating with the March on Washington on August 28, 1963. The Silence of Our Friends by Mark Long, Jim Demonakos and Nate Powell (First Second Books, 2012) is a semi-autobiographical story told from the perspective of Mark Long, as a boy. It centers around civil rights incidents covered by his father, a television reporter in Houston, Texas, in 1968, following the Texas Southern University student boycott after the Student Nonviolent Coordinating Committee (SNCC) was banned from campus. It ends with Dr. King’s assassination and the mourning of the larger Houston community as they marched in his memory. Aya: Life in Yop City by Marguerite Abouet and Clement Oubrerie is loosely based on Abouet’s life and centers around 19-year old Aya, her friends, and their families in the Ivory Coast working class suburb of Abidjan in the 1970s. Aya was the winner of the Best First Album award at the Angouleme International Comics Festival, the Children’s Africana Book Award, and the Glyph Award. It was also nominated for the Quill Award, YALSA’s Great Graphic Novels, and the Eisner Award. It has also been included on best of lists from The Washington Post, Booklist, Publishers Weekly, and School Library Journal. It has been adapted into a film, Aya of Yop City (produced by Joann Sfar and Antoine Delesvaux). While this is not a graphic novel, it is a book about graphic novels and one that tells important stories too often overlooked. Covering female comics creators from the turn of the 20th century to present day, She Changed Comics profiles more than 60 women who transformed the landscape of free expression and expanded the comics artform. It also examines the plights of women who have been persecuted for expressing themselves through cartoons and features interviews with some of the most influential women working in comics today. Even though this isn’t a part of the Using Graphic Novels in Education section, there are still great teaching guides and resources available from CBLDf for free, so make sure you check it out. You can support the First Amendment and the important educational work we do by giving to Comic Book Legal Defense Fund. Get beautiful graphic novels by visiting the Rewards Zone, don’t miss out on personalized books by today’s top creators with CBLDF’s Spirit of Giving 2018. Or you can support the mission directly by making a donation, or becoming a member of CBLDF today!